22K gold finish pewter, space needle style connector or earring drop, ribbed design, pewter castings, B'sue by 1928, 23 x 7mm. (measurement includes end holes). Unique ribbed design, perfect for earrings, necklaces and bracelets. The finish is a high gold look that rivals any of the best plating done here in the States, and ours is done by a highly skilled US plating house. As with our Classic Gold Finish, however, there is a tiny bit of nickel under top color layer. Nickel is often used *under* a gold finish to ensure its strength and beauty. The way it is applied to this line is minimal and being under the top color layer, does not touch the skin, but since there is that tiny bit of nickel we can't call it nickel free, like our other finishes. 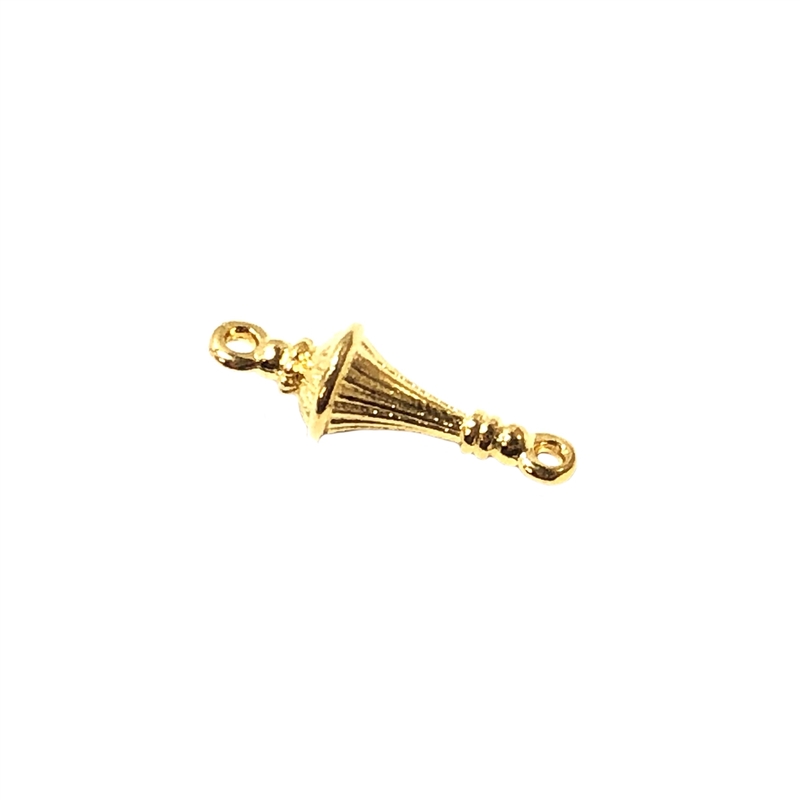 All of the post earring findings are plated ONLY on the finding, the posts are surgical steel. Made in the USA. At this time, you can find this line ONLY at B'sue Boutiques, made for us in lead-free pewter, so finely cast, you will not believe the detail.